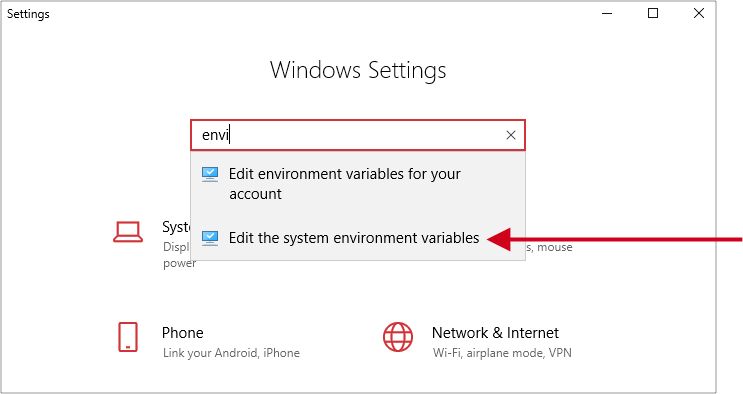 Windows Settings window opens, where you should start typing “envi”, as shown. 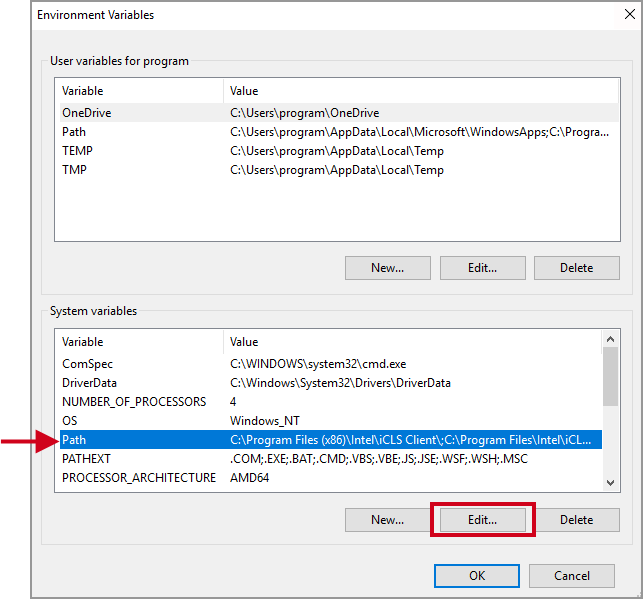 Select “Edit the system environment variables” in the drop-down list, as indicated below by the red arrow; this will open the System Properties window. 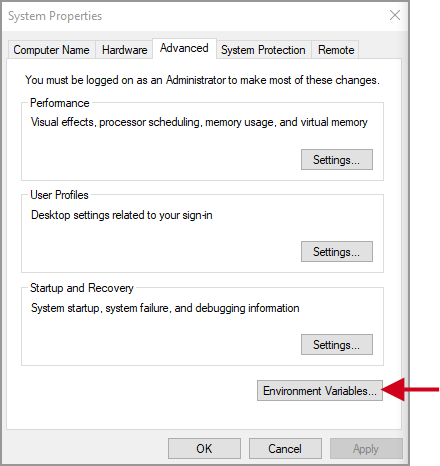 The Edit Environment Variable window, opens. Click the New button on the right, then add the three entries for Python and J-Link, as shown below. Earlier versions of Windows (<10) may require that you add paths by separating them from existing paths with a semicolon (;). 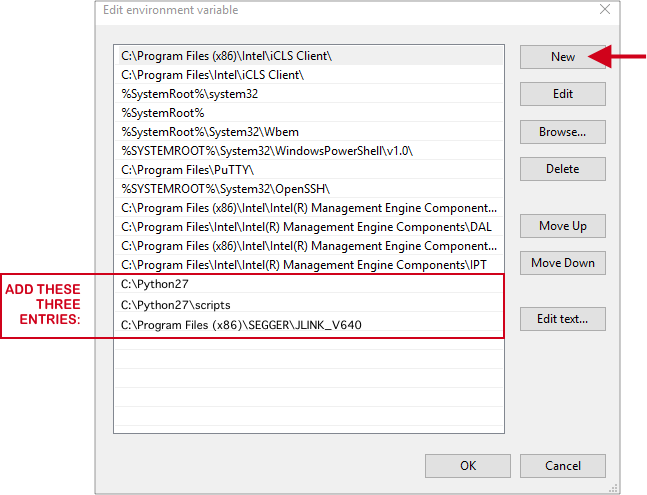 Be careful you DO NOT remove any existing paths when adding your new variable paths. Click OK on each of the open windows to save the new variable paths.